Regardless of your political beliefs, you should always be in the habit of assessing a leader for sincerity - and ask, "Is he/she being sincere or insincere?" There is a monumental difference between a sincere leader who does not share your belief(s) vs. an insincere leader who presses forth agendas in which they do not believe - yet which may agree with yours. Today in the Rose Garden, President Obama spoke about his decision to use executive action regarding immigration reform. Some have inquired as to the President's sincerity here. What do you think? 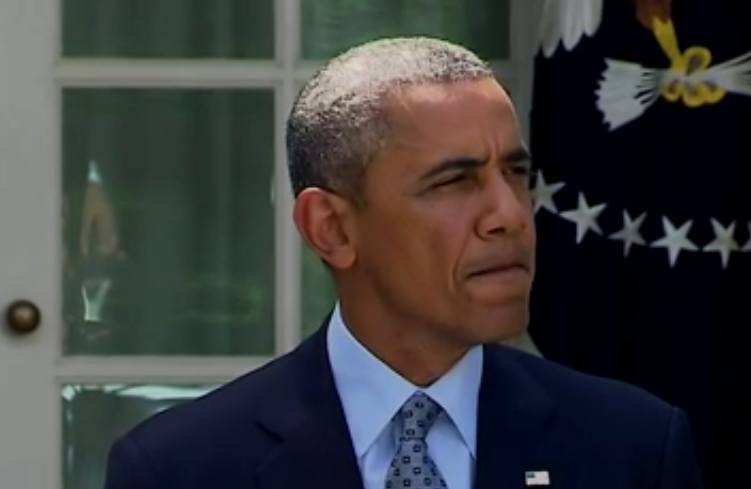 In this image (at 4:47), Barack Obama juts his jaw (thrust forward) while simultaneously clenching it. His lips also thin out (especially the upper lip) and begin to roll inward - yet because of his momentarily closed teeth, they cannot configure to a full "Inward Lip Roll" (ILR) and thus the tissue adjacent to his lips (particularly below his lower lip) bulges outward (aka Peri-lip Bulge). His eyelids nearly completely close. His eyebrows come together and while his inner (medial) eyebrows are also directed downwards. This set of nonverbals is a cluster highly indicative of anger. After reviewing the entire video, does President Obama display a high or low Sincerity Quotient? You should be able to cite many specific nonverbals which support your body language diagnosis.